Hydraulic elevators have been in service around the world for many decades. They use proven, oil-based lifting technology in low to mid-rise buildings (up to 6 floors) to provide a robust and reliable elevating device. Hydraulic elevators are relatively simple in design compared to traction elevators. This makes them a cost-effective choice when the entire product life cycle is considered—from the initial installation through to regular maintenance. 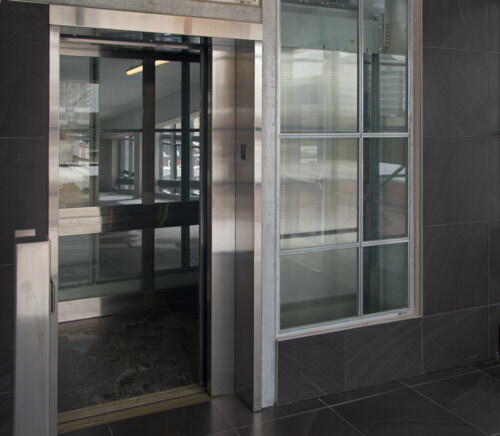 Under normal circumstances with regular preventive maintenance, many hydraulic elevators last more than 20 years before requiring major upgrades. Hydraulic elevators generally have fewer parts than traction elevators, which makes them easier to maintain and service. In addition, there are fewer proprietary parts, so they can be serviced by other elevator contractors instead of the OEM. Eco-friendly biodegradeable hydraulic oil option. See also our Sustainability page. Can have front and rear entrances. Oil noise is greater than an in-ground configuration. * Please call Delta to discuss custom configurations. 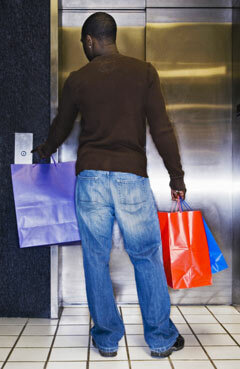 Hydraulic elevators can be found in shopping malls, hospitals, colleges and other mid-rise buildings.